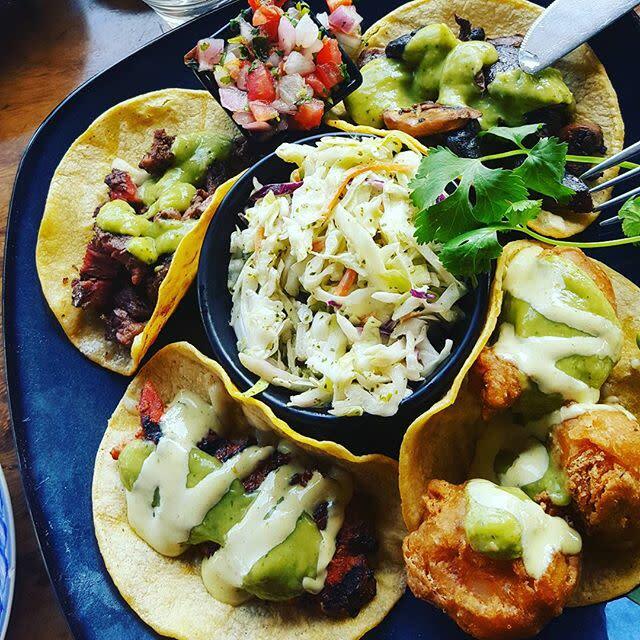 Do tacos really taste better on Tuesdays? With Cinco de Mayo falling on a Friday this year, all bets are off. Tacos have become very much a part of the holiday as it exists in the American imagination, despite not being an integral part of the traditional Cinco de Mayo experience. In Mexico, the fifth of May is punctuated by parades and parties in celebration of the army’s victory over France at the Battle of Puebla in 1862. Delicacies in Puebla—one of the country’s few regions in which the holiday is observed—include mole poblano and chile en nogado. History lesson aside, Cinco de Mayo is right around the corner and no one will fault you for celebrating with some chips, guac and a hearty helping of the popular Mexican street snack. 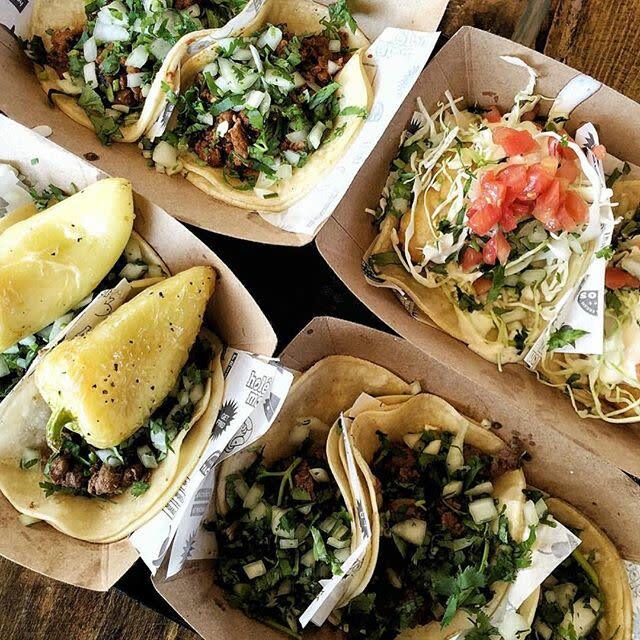 Here in Huntington Beach, al pastor, barbacoa, carnitas and more nestled in the folds of toasty corn tortillas will make mouths water any day of the week. Chef Deborah Schneider is a connoisseur of Mexican cuisine, having traveled the country and developed a deep appreciation for flavors of the region. 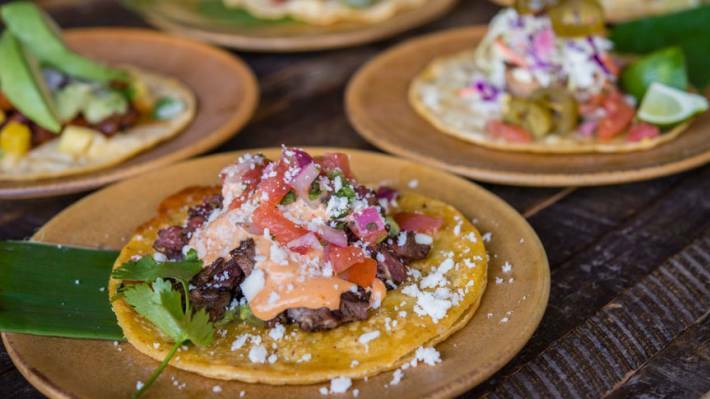 Earlier this year, she introduced the “super taco” concept at Solita, elevating the basic dish with layered ingredients and cooking techniques like toasting and frying. Of the five super tacos, the Vampiro is a mouthwatering must-try, featuring cheese, serrano pepper slices and green onions sandwiched between pan-toasted double tortillas and loaded up with guacamole, tender carne asada, pico de gallo, cotija cheese and a drizzle of chipotle salsa. An incredibly affordable eatery, Holé Molé is a great pit stop for snackers. For less than a buck-fifty, take your pick of carnitas, chicken, tender carne asada or juicy al pastor in a soft corn tortilla. 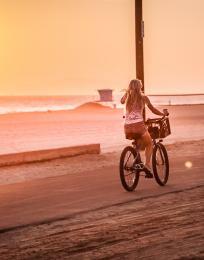 Make it your own with a selection from the fresh salsa bar. Those on a supreme budget can snag a vegetarian-friendly deal for just 59 cents—small crispy potato or bean tacos in a crunchy shell are loaded up with shredded cheese, lettuce and tomatoes. The independent, street art spirit is strong at Sancho’s from the minute you walk through the colorful, paint-peeled door. 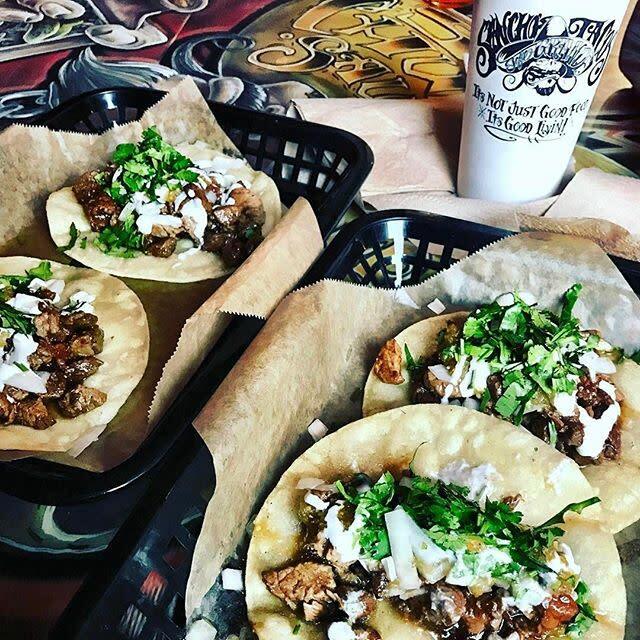 They do tacos their own way, from creative names like the Yard Bird (chicken breast) to a secret house condiment dubbed Chubbie Sauce. You can’t go wrong with the O.G., which complements the spicy sweetness of the sauce with flavor-packed tri-tip, cilantro, onions and a palate-soothing dollop of sour cream. In a city filled with primo Mexican food, a line out the door of an unassuming eatery can only mean good things. 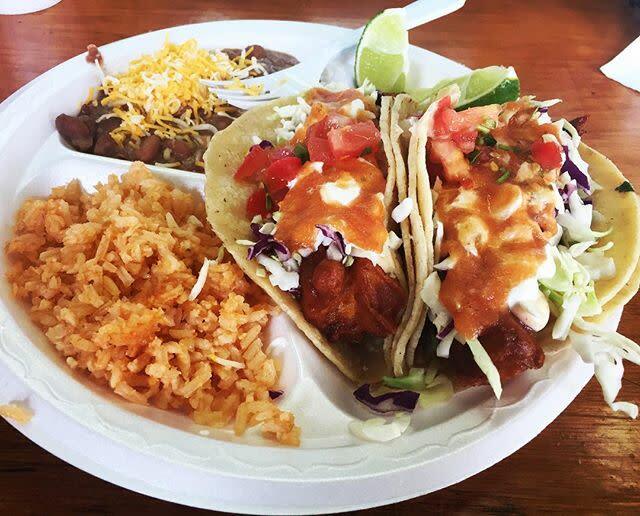 A local favorite, Normita’s is a tried and true spot for what might be the most amazing fish taco that will ever cross your lips. 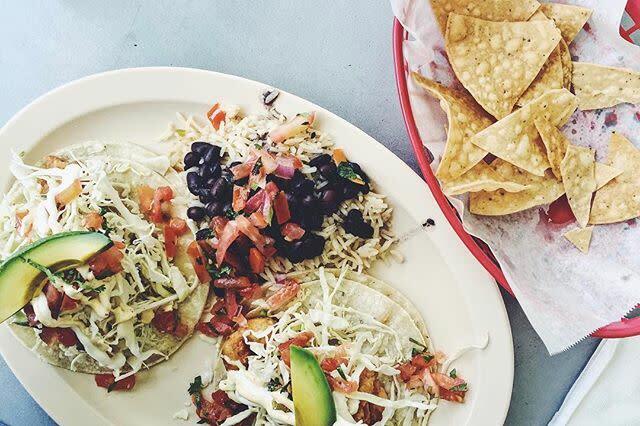 Simplicity is key here: A generous cut of mahi mahi is battered and fried, flaky on the inside and perfectly crisp outside, then topped with lettuce, sour cream and pico de gallo inside a double layer of corn tortillas. Keep in mind it’s cash only at this small, takeout-style shop. A hidden gem in terms of location, a drive-by of this restaurant and a glimpse at the sign (“Food That Mex Sense,” it proclaims) may leave you scratching your head. 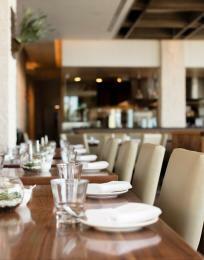 But stop inside and you’ll be treated to a tantalizing array of seafood that’s surprisingly fresh and simply prepared. The grilled shrimp tacos are to die for, with a warm smokiness enhanced by the flavors of grilled onions, pico de gallo, sour cream and a slice of avocado.